Grande Meadows Golf Club - We are just 5 minutes away from this fantastic 9 hole golf course. They have reasonable rates with club and cart rentals. 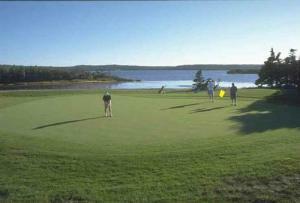 To book a tee-off time call (709) 826-2600. Click on picture to see overhead view of course. ATV to enjoy 25 kms of specially constructed ATV trail. Cruise to Point Rosie or seek out a quiet resting spot along the Garnish river. 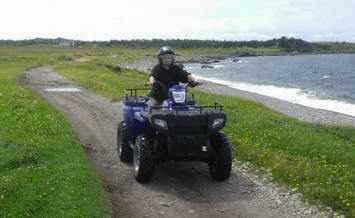 As of 2016, there are no ATVs to rent on the Burin Peninsula. 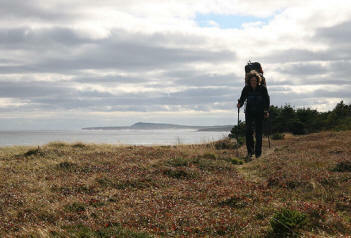 Long Ridge Hiking Trail - From your back door you can access this beautiful two - km hiking trail. In season you can pick blue berries, partridge berries and bake apples along the trail. 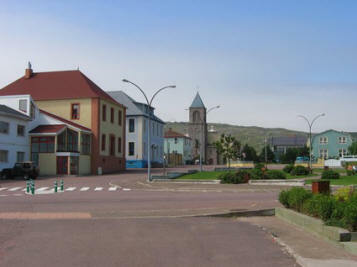 St. Pierre - Miquelon - In just 30 minutes you can be in Fortune to catch the next passenger vessel to the French Islands. You'll be delighted by the diversity, uniqueness and charm of it's multicolored houses, narrow streets and architecture. Southern Newfoundland Seamen's Museum - Visit Grand Bank to see this memorial to the many Newfoundlanders who have lost their lives at sea. 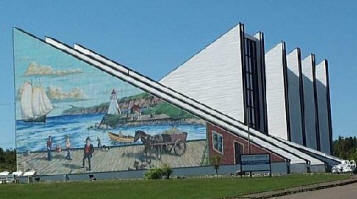 See the many pictures and model boats as well as, many more artifacts of years gone by. Golden Sands - Take in this beautiful sandy beach and lots of water activities such as, windsurfing, canoeing, water-skiing and waterslides. 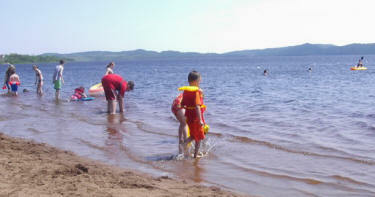 It's just a fifteen minute drive from our cottages.